The Seven Lochs gateway at Hogganfield Park is a great stating point to explore 3 of the park's local nature reserves (LNR). 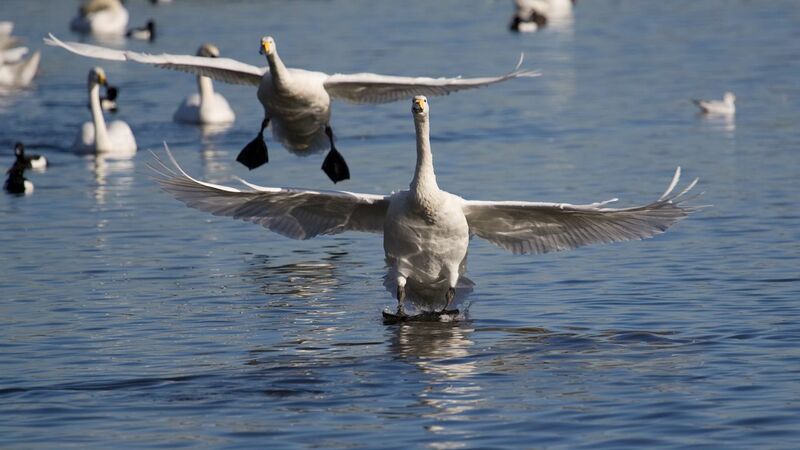 Hogganfield Loch is Glasgow's best site for wintering water birds such as whooper swan and goldeneye duck. 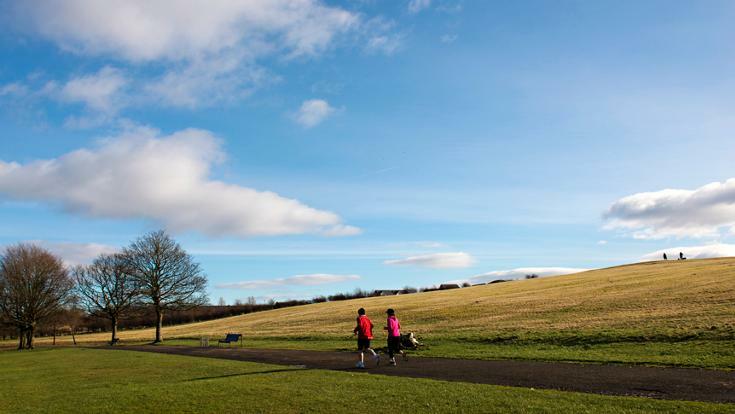 The lochside path is great for a gentle stroll - or a more energetic run. Cardowan Moss is the park's biggest area of woodland, with miles of well-surfaced paths to explore on foot or by bike. At Frankfield Loch - which will be the park's newest LNR - you'll get great views over the Seven Lochs Wetland Park and north to the Campsie fells. There are soon to be 3 local natures reserves (LNR) all within easy reach of the Hogganfield Gateway. 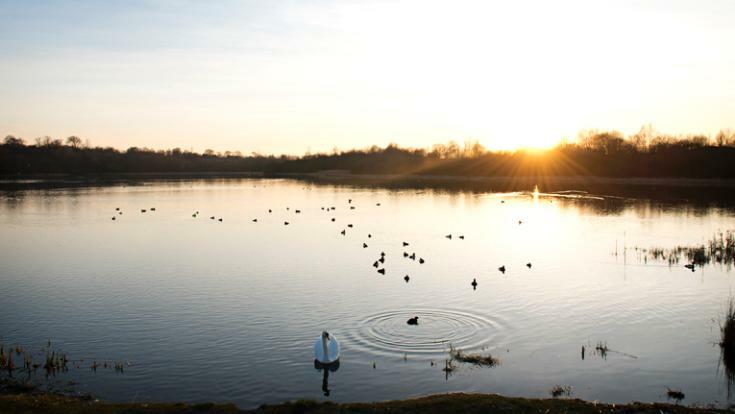 From Hogganfield Loch LNR it's an easy walk through Forestry Commission managed woodland at Cardowand Moss LNR to Frankfield Loch, which will soon become the Seven lochs newest LNR. In the 18th and 19th centuries water from Frankfield and Hogganfield Lochs was used to power mills along the Molindinar burn. Hogganfield Park attracts a host of water birds in both winter and summer. 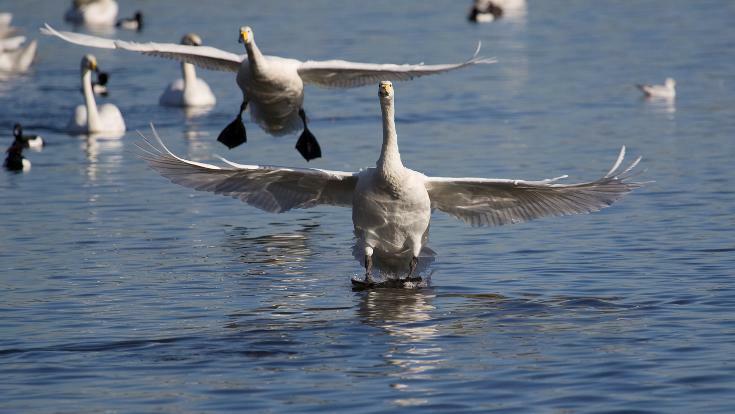 In autumn Icelandic whooper swan arrive after flying hundreds, sometimes thousands, of miles from their arctic breeding grounds. In spring great crested grebe arrive to breed, and perform their amazing courtship dance. 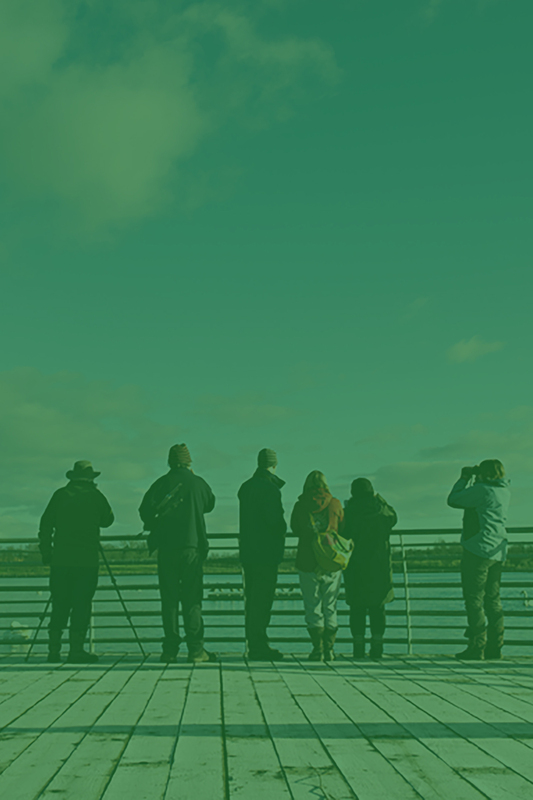 A viewing platform near the car park is a great place to watch the loch's bustling birdlife. 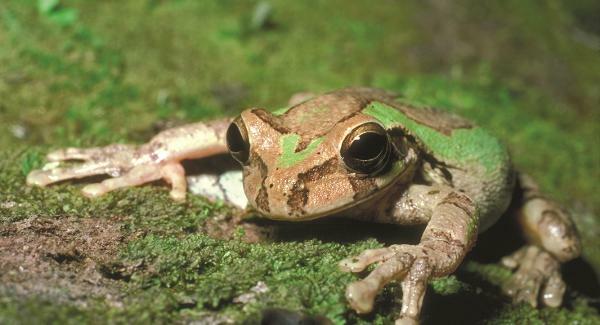 The woodlands, marsh and grassland are managed to encourage wildlife. In the early morning you may see small groups of roe deer at the woodland edge, while secretive water vole - one of Scotland's rarest mammals - are found in the ponds and ditches around the loch. In Victorian times local people collected ice from Hogganfield Loch to help keep food fresh. This was stopped in 1866 due to the risk of accidents and the City Corporation built two ice houses on the loch edge where ice could be bought for a small sum. The mix of old and young trees at Cardowan Moss local nature reserve make it a great place for woodland birds. Buzzards are often seen soaring over the trees, dragonflies hunt over the many ponds and ditches in summer, and locals know this area as 'The Froggy' for obvious reasons! Even as Glasgow has expanded around it some areas of Cardowan Moss are still similar to what the Seven Lochs area would have looked like a thousand years ago. The muddy edges of Frankfield Loch make it a great place for wading birds like snipe and lapwing. A large area of woodland, grassland and reed bed next to Frankfield Loch is a great place for newts, frogs and toads. The road next to the loch has tunnels under it to help these amphibians get to the loch without the risk of getting squashed! Walking, running and cycling on the well-surfaced path around Hogganfield Loch are the main activities. Around the loch you'll find picnic benches, a beach, play areas and an angling zone. The park hosts a range of organised activities, including regular fitness sessions, guided walks and family activities. The level circuit around the loch is marked with 'distance posts' to help you measure your run. There is also an orienteering course that that takes in the woodlands and viewpoints around the Loch. Next to Hogganfield Park is Lethamhill Golf Course - an 18-hole parkland course managed by Glasgow Life. Tickets can be bought from the clubhouse, or you can book on a pay-and-play basis here. 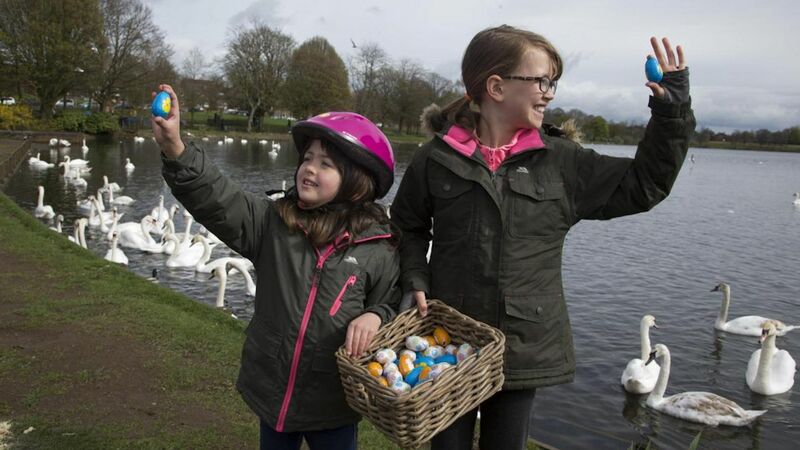 Find our Easter Bunnies hidden around the loch - and win a sweet reward!. Venue: Hogganfield Park LNR, Cumbernauld Road, G33 1AH. A family friendly walk exploring some amazing underwater animals. Please wear wellies / waterproof boots and bring a picnic lunch. Venue: Cardowan Moss. Meet at Sunnyside Primary School, G33 5LA. Hogganfield Park is on Cumbernauld Rd, Glasgow, G33 1AH. The nearest railway station is at Stepps - which is a 30 minute walk / 10 minute cycle from the Park. Local buses stop at the park entrance on Cumbernauld Rd.